*A full-sized picture is available in the Gallery. 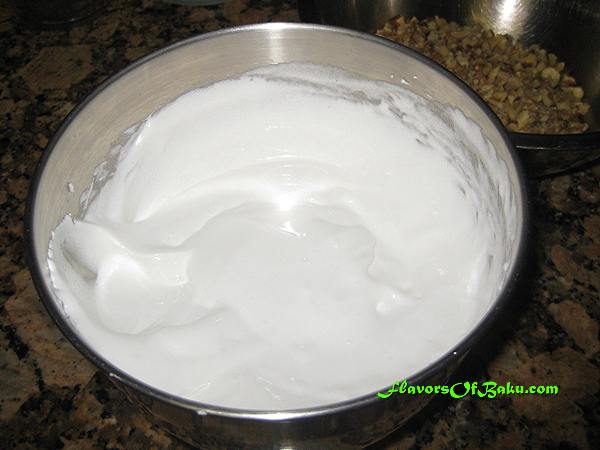 Separate the egg whites from the yolks into two separate bowls. 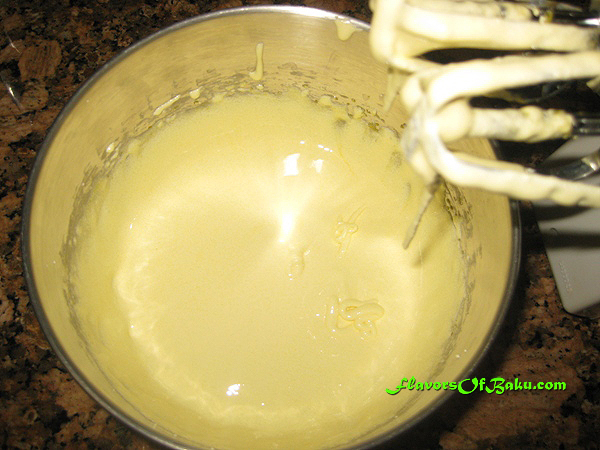 Add sugar to the yolks, then beat them with an electric mixer. 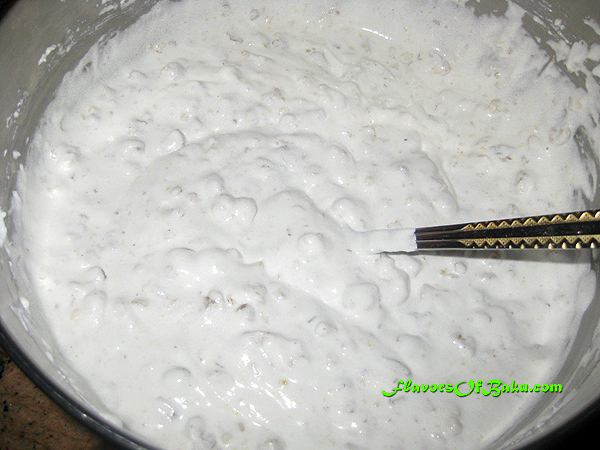 In a separate bowl, mix the sour cream with the baking soda and the salt. 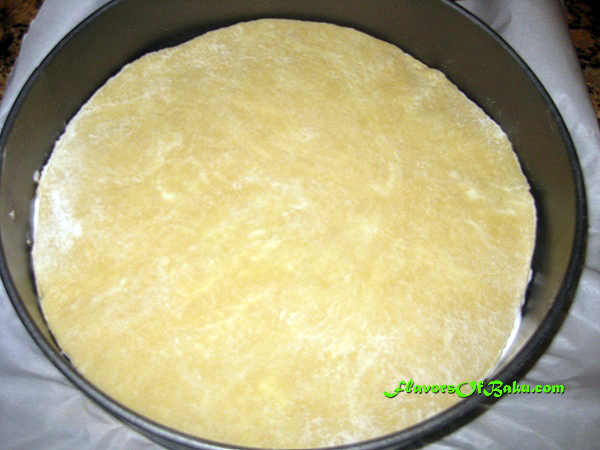 Sift the flour onto a working surface. 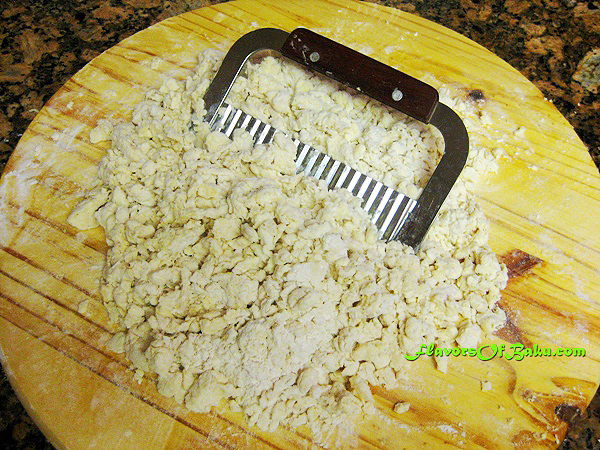 Use a cheese grater to grate the butter into the flour and lightly mix them together. 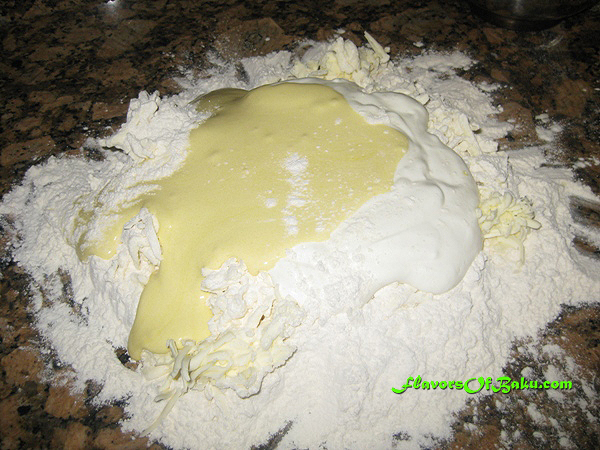 In the center of the flour-butter mixture, add the sour cream mixture, vanilla sugar, and the egg yolk mixture. 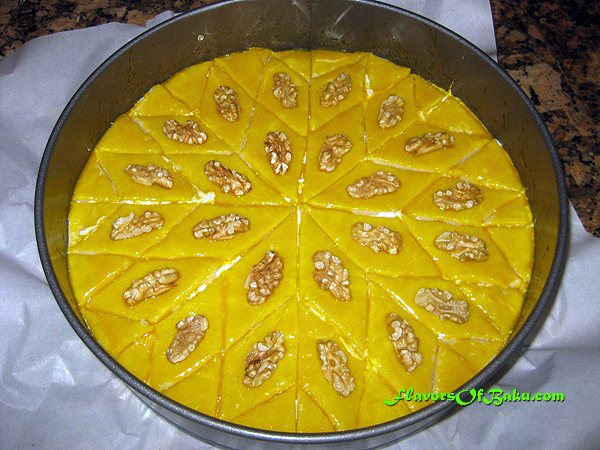 Chop all the ingredients together with a chopping knife, bring them into the center of the board and continue chopping and mixing them together until you wind up with smooth dough. Do not over-knead the dough! You should be able to see little bits of butter in it. These small chunks of butter are what will make the dough crispy and flaky when cooked. 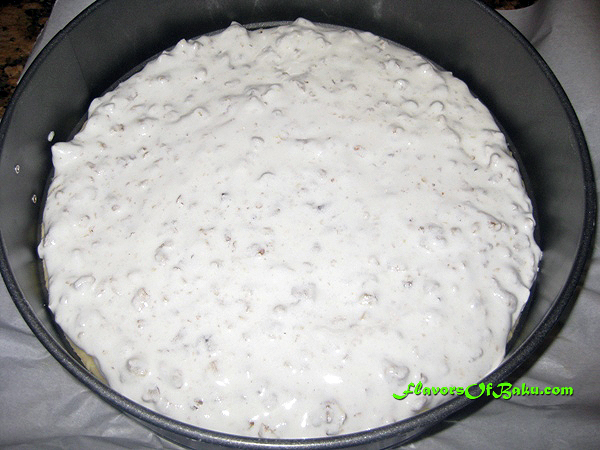 Divide the dough into two evenly-sized pieces. 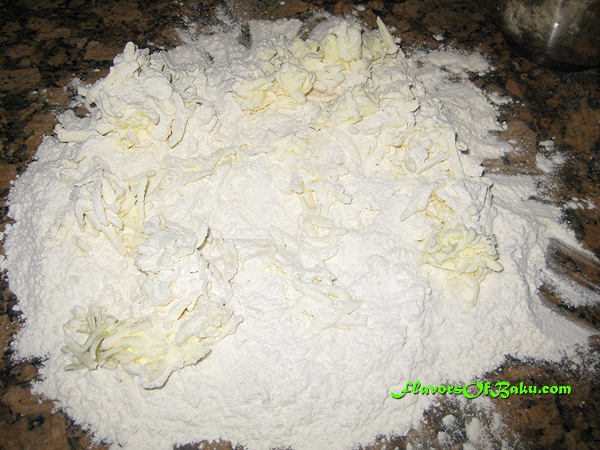 Shape each piece of the dough into a ball and dust it with flour. Wrap each ball in plastic wrap and refrigerate for at least one hour. 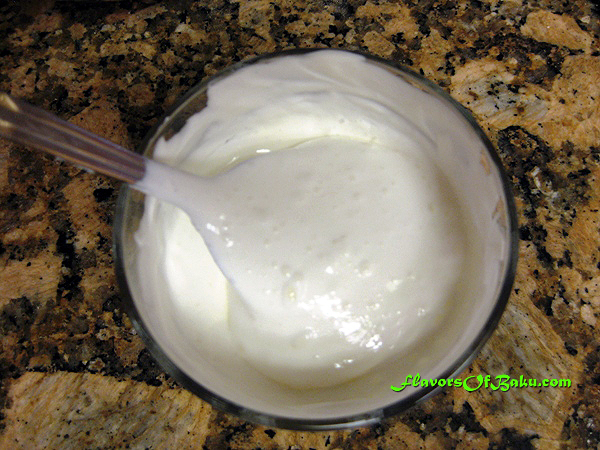 Lightly beat the egg whites with an electric mixer, starting on a low speed, then increasing it to high. and mix them with the beaten egg whites using a spoon. 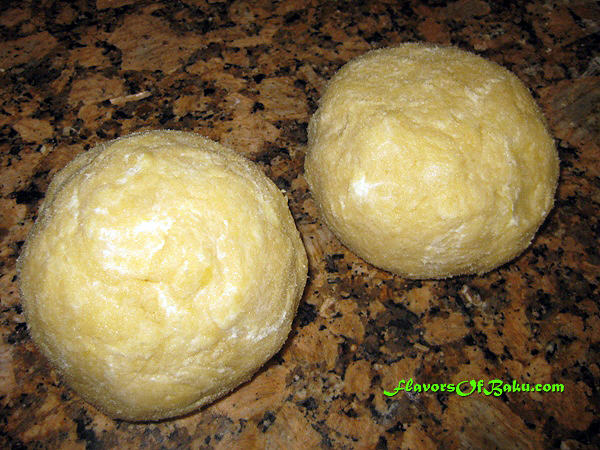 Remove one ball of dough from the refrigerator. Place it on parchment paper and roll out the dough with a large heavy rolling pin to a thickness of 0.5 cm as big as your baking pan is, then place it into the pan. 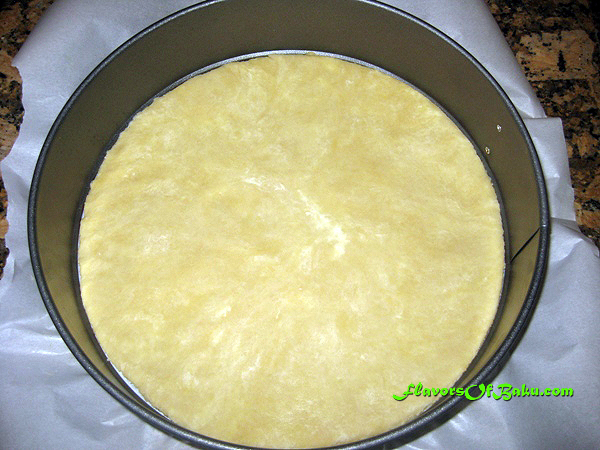 Remove the other ball of dough from the refrigerator. Dust your working surface with flour to keep the dough from sticking and roll the ball out to the same way as you did the first. Use this layer to cover the filling. 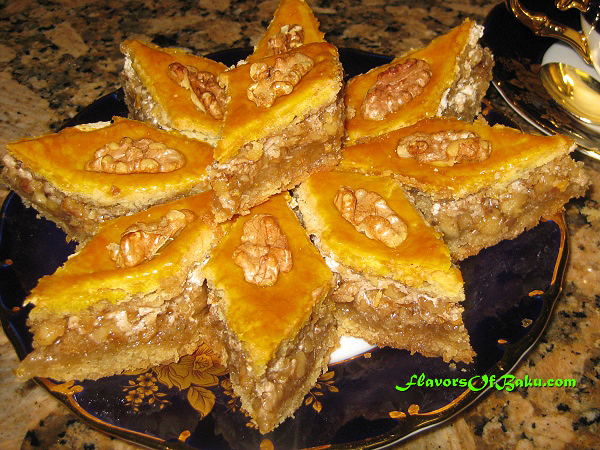 Cut the layer into diamond-shaped pieces (don’t cut through the filling and the bottom layer of Pakhlava). 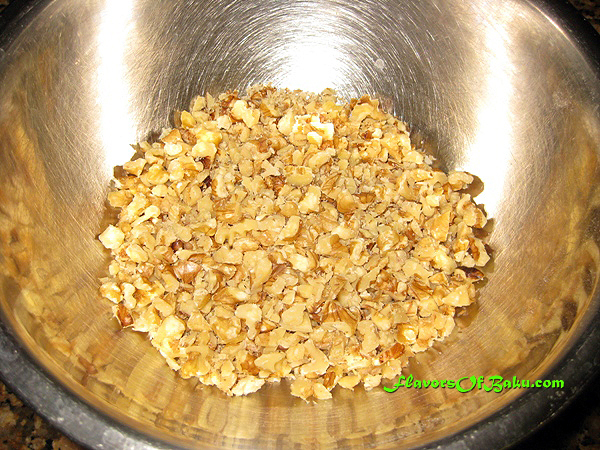 Place and lightly press a nut into the center of each slice. Bake in a preheated oven at 350°F (180°C) for 30-40 minutes until golden brown. 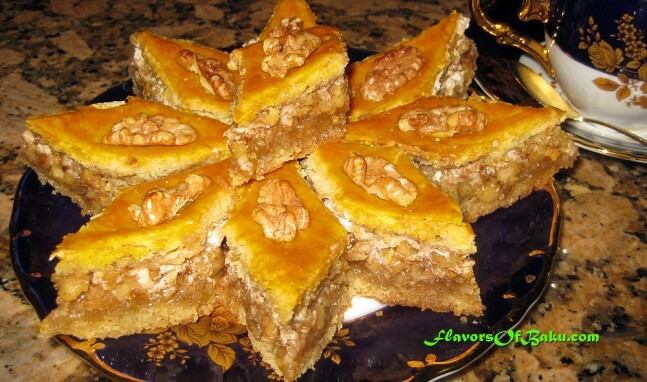 Let the baked Pakhlava cool down before removing it from the baking pan and cutting into pieces.